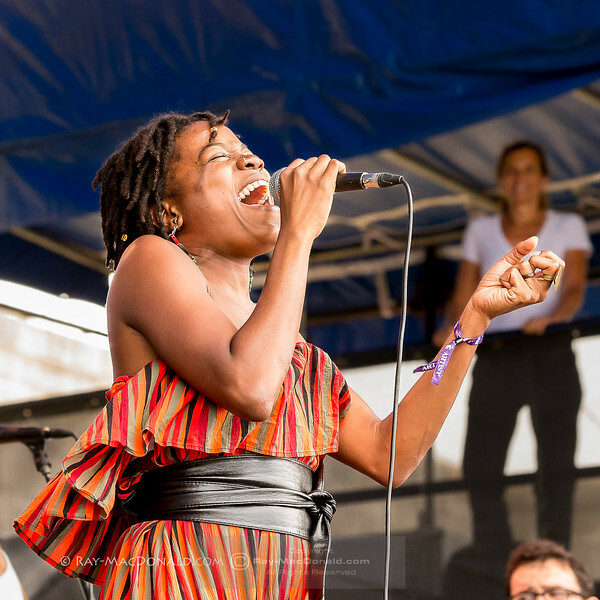 The word bokanté means “exchange” in Creole, the language of vocalist Malika Tirolien’s youth growing up on the Caribbean island of Guadeloupe. Now living in Montreal, she stands among 8 musicians from 4 continents, each one accomplished in their own right and well versed in music far beyond that of their point of origin. Two-time Grammy award-winning guitarists Michael League, Chris McQueen, and Bob Lanzetti (all from Snarky Puppy), percussion legend Jamey Haddad (Paul Simon, Sting), pedal and lap steel virtuoso Roosevelt Collier (Lee Boys, Karl Denson), and unplaceable percussionists André Ferrari (Väsen) and Keita Ogawa (Banda Magda, Yo-Yo Ma) come together to create a diverse ensemble rich in groove, melody, and song.